We love testing out new travel gear that will help parents get out and see the world with their little ones. So when the folks at Freeloader sent us one of their new child carriers to experience, we jumped at the chance to put the Sundown Freeloader child carrier through the ringer. 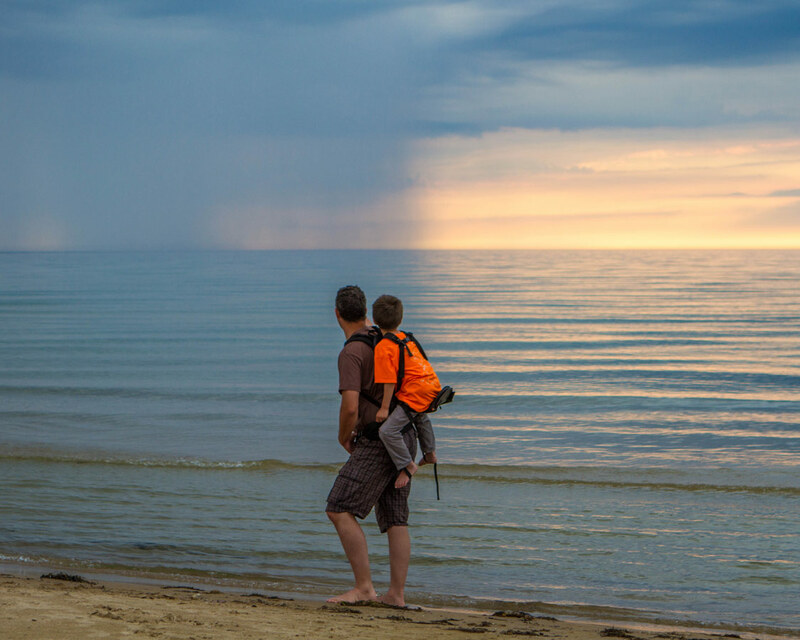 What is the Freeloader Child Carrier? Touted as “The First Child Carrier Built Specifically for Toddlers! A New, Better Child Carrier.” The Freeloader child carrier is a backpack style kid carrier that is designed for children aged 2.5 years and up. The weight capacity of the Freeloader puts it into a unique place in the market. It caters to that awkward age when kids are too heavy for slings and baby carriers, but still need assistance with certain outings. And with a weight capacity of 25 – 80 lbs, the Freeloader Kid Carrier also makes for a good option for children with developmental issues. It’s an option that will allow them to reach, with help, areas that they might not otherwise be able to. 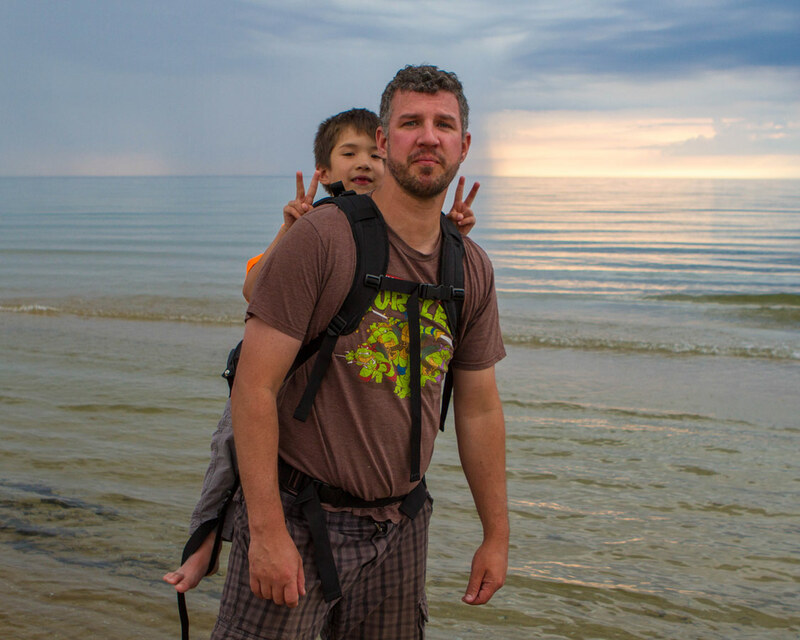 We tested it out on our yearly trip to Sauble Beach, Ontario to see how it held up. 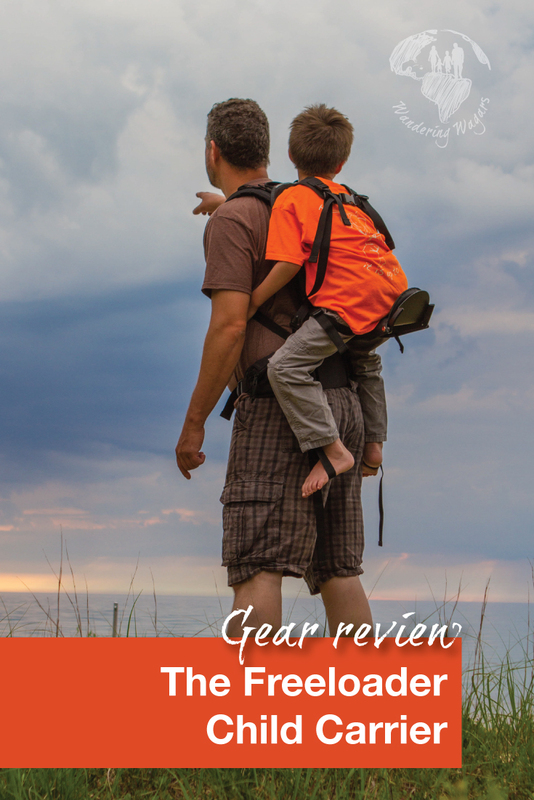 A while back, we reviewed one of our favorite kid carriers, the Deuter Kid Comfort iii. This pack is about as good as it gets for young children, but with a weight limit of 45 lbs, it doesn’t come close to the carrying capacity of the Freeloader. Compact and Portable: The Freeloader has an extremely small form factor, and when it’s not in use, folds up tightly against your back. The compact size also makes it excellent for travel as it slips easily into luggage or can be included in your carry-on. Open design: The Freeloader is very minimalist with a wide open design that leaves the child open and able to feel the air around them. Solid build: The Freeloader is incredibly well-engineered. From the second I took it out of the packaging, the quality and strength were evident. I have no doubt that this could handle much more than the specified weight limits. 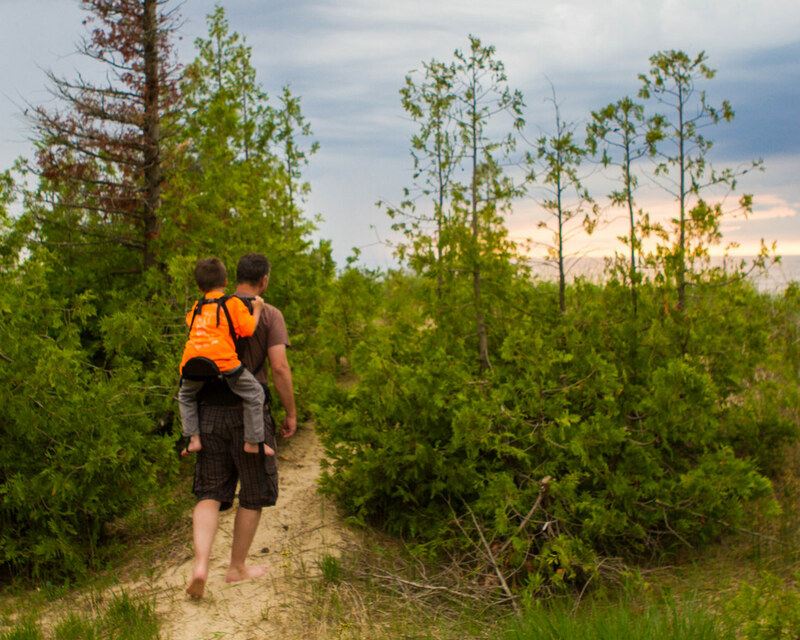 Safety first: The Freeloader features a 5-point harness to keep the child in place through even the roughest hiking trails. 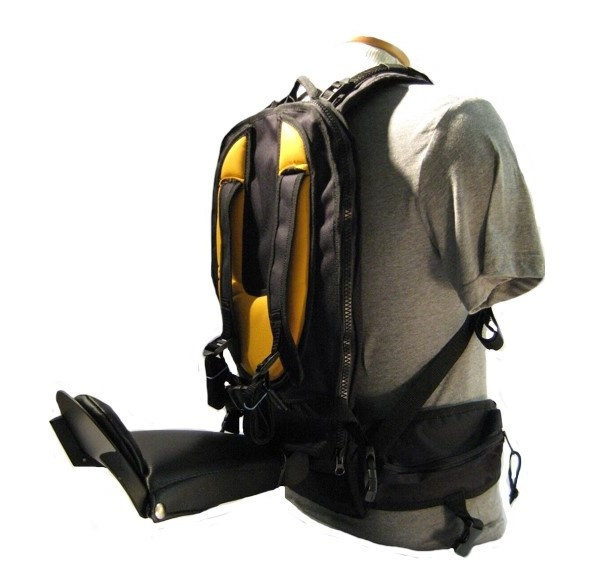 Sharp design: The Freeloader is an attractive pack. The simple color schemes and solid build look good on everyone. Size and Portability: The Freeloader is built like a tank structurally, but still manages to be incredibly portable and comfortable. The folding seat is an excellent design and is not awkward to use. Attractive design: The Freeloader looks sharp. Even when it’s not in use, it’s a good looking piece of equipment. Strong and durable: This product seems almost over-engineered. It is very strong and looks like it could withstand a lot of wear and tear. 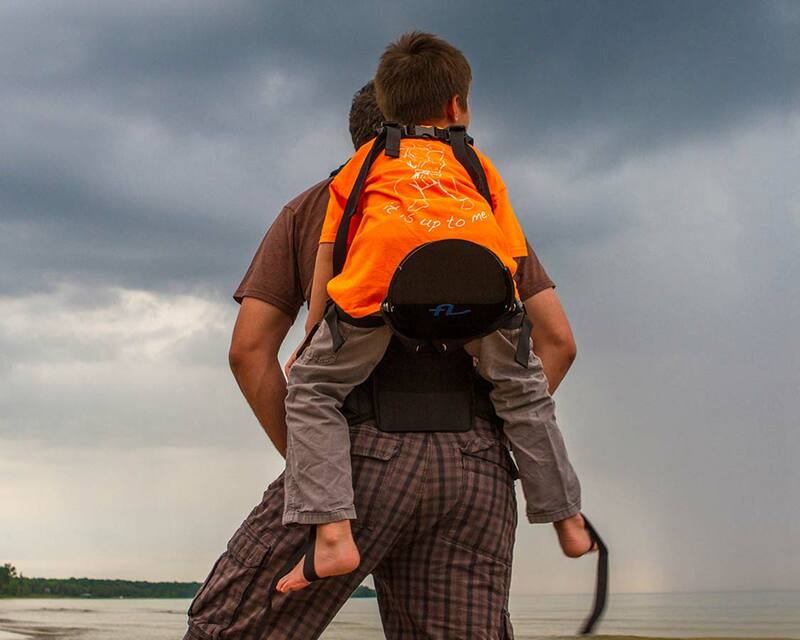 Ergonomic design: The carrier is comfortable for both the wearer and the child. For me, it sits nicely on my hips and I rarely felt as if I was holding as much weight as I was. For my son, he felt comfortable and didn’t feel crushed. More Versatility: While the Freeloader is very comfortable, it lacks storage. It does have two small pouches on the waistband, but they don’t carry much. By adding a pouch under the seat, the carrier would be much more useful for single parent outings. Getting in is a two person job: Walking with the Freeloader feels fairly effortless. Getting into it though can be a bit of a chore. There are a lot of straps to sort out and positioning the child without a second adult would require extra time and effort. One size doesn’t fit all: The Freeloader comes in three sizes to fit the frame of the person carrying it. I’m 6’2 and Christina is 5′, so while the large pack fits excellently on me, she would require a smaller size, forcing us to purchase two if we both wanted to use it. 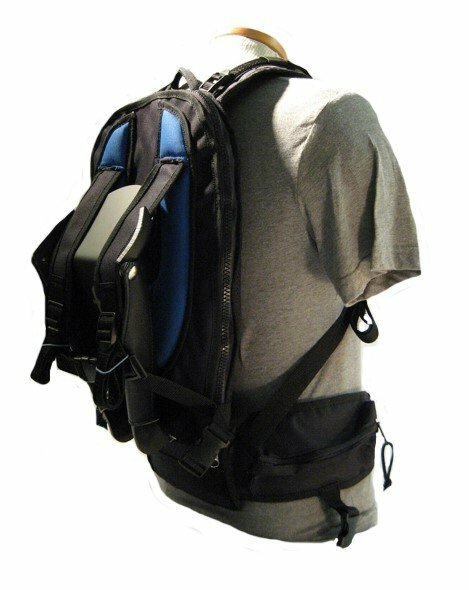 Having an adjustable pack design would be helpful. Have you had a great experience with the Freeloader, or do you have another kid carrier that you’d like to tell us about? Let us know in the comments! You can find out more about the Freeloader on their website. Disclosure: The folks at the Freeloader sent us a Sundown Freeloader to review. As always, all opinions are our own. Wandering Wagars is a participant in the Amazon Services LLC Associates Program, an affiliate advertising program designed to provide a means for sites to earn advertising fees by advertising and linking to amazon.com, amazon.co.uk, amazon.ca. Amazon and the Amazon logo are trademarks of Amazon.com, Inc. or its affiliates.